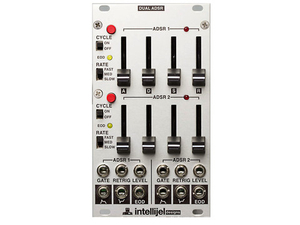 Influenced by SH101/System100M, cycle mode, retrig, ADSR level, EOD, three timing ranges. 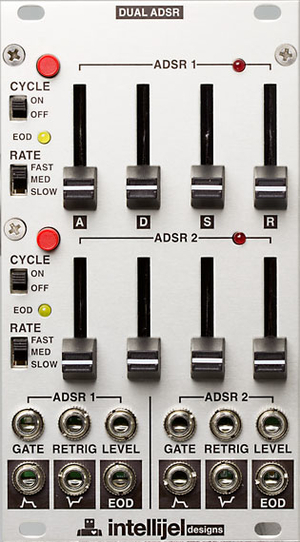 - Dynamic control of the envelope output level (each ADSR is routed through a linear VCA and the control is normalled to +5V via the LEVEL jack. You can patch another control source like an LFO or VELOCITY level from a keyboard to this jack.